That's the Premier League action all done and dusted for another Saturday. Ole Gunnar Solskjaer to BBC Sport: "They played better than us, it is fair to say, I don’t think anyone will disagree. We got away with it, sometimes we have lost when we should have won, so over a season it evens itself out. "Playing on Wednesday, and today and again on Tuesday played a major factor. It’s a juggling act but I and we got away with it today. "You’re allowed to have a good keeper, he is a fantastic keeper, if they score they could have gone on to win. Then we had to gamble, bring on the kids and introduce more energy, at that stage they were better team. 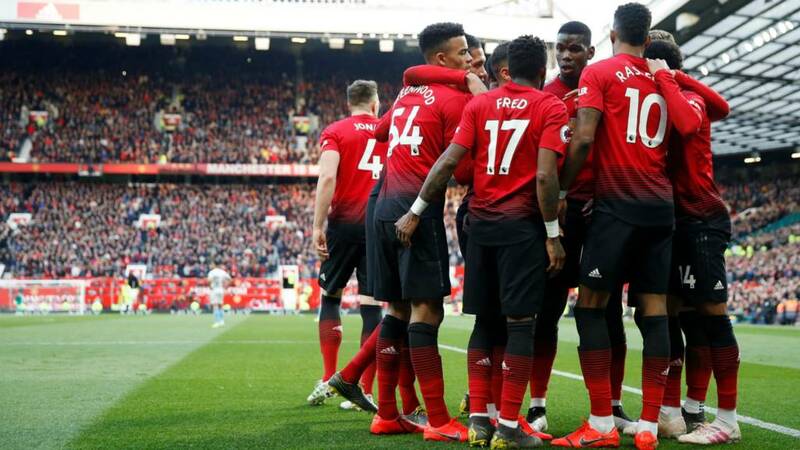 Speaking to BT Sport, Man Utd manager Ole Gunnar Solskjaer said: "We got away with it. I know it is not easy because we played on Wednesday and we made a few changes. They deserved to get their goals but we are allowed to have a good goalkeeper. On Marcos Rojo: "He has had trouble with his calf but he had to step in because we had so many full-backs out. We won't get away with playing like that against Barcelona. We have to have a better performance to stand a chance at the Nou Camp." Ole Gunnar Solskjaer has said "we got away with it" about 15 times in his two post-match interviews. Speaking to BT Sport, West Ham manager Manuel Pellegrini said: "I think we should have won three points. We played against Manchester Unietd at Old Trafford and it was a good performance but unfortunately we couldn't win. I don't want to complain about the referee because I think all of them were difficult decisions, but it was not a penalty on Juan Mata and our disallowed goal was onside by just one foot. Felipe Anderson scored his first Premier League goal in 14 games, becoming the first West Ham player to score home and away against Man Utd in the same league season since Jermain Defoe in 2001-02. Manuel Pellegrini says the officials made three errors, none of which were bad errors and perfectly understandable, but if VAR was in force then West Ham would have won. Manchester United have won a league-high 12 Premier League penalties this season. Indeed, it’s also the most the Red Devils have ever taken in a single campaign in the competition. "We had the luck today"
"What matters is to put the ball inside that’s all, maybe I tricked the keeper but all that is important is the three points today. Can they make the top four? "We deserved something from the game"
West Ham DF/MF/FW RC Michail Antonio on BT Sport: "I don't know what to say, it was an unbelievable team performance. We lost the game with two penalties but take nothing away from our performance. "Referees are only human. You can't fault the disallowed goal or the penalty being given, I had a look in the first half as I was on the bench. Felipe Anderson may be onside but it's someone's foot and there was contact for the penalty. The referee did well. "We deserved something from the game, we came to Old Trafford and had more possession and shots on target but it's part of the game. "I don't know what else I could do, maybe I should have put more on the header but I still think it should go in!" Paul Pogba admits that Manchester United didn't play well but the points are what mattered. Ole Gunnar Solskjaer embraces Paul Pogba and David de Gea before applauding the home fans. West Ham move over to their supporters, they look crestfallen after that one. What does it feel like to be Solskjaer? Ole Gunnar Solskjaer is stood at the edge of his technical area. This is a game Manchester United have to win. All his substutions have been used. His team are winning but not playing well and one of his defenders has just had his head taped up. There is five minutes of injury time. It must be agony down there. West Ham have got to switch the play because it's very congested in the middle. They need one of the wide players to run inside to create the space.